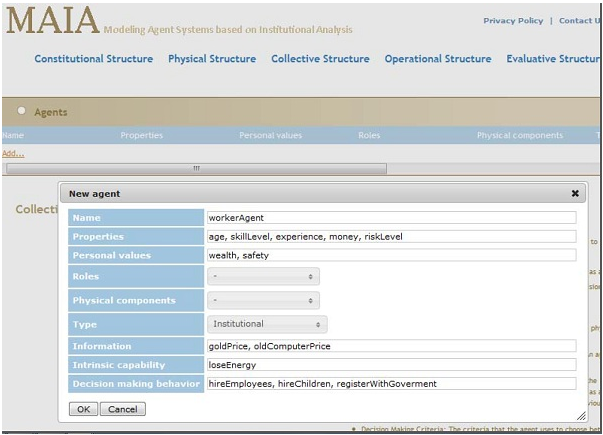 Looking at frameworks and toolkits to easily create agent-based models, I recntly came across Modelling Agent systems based on Institutional Analysis (MAIA) framework via JASSS. The idea for MAIA is to lower the cost of implementing agent-based models. In the sense, you don't need to code the model from scratch but use a simple web interface. From first glance it appears to have the same ease of use as the Modelling4All project. More information about MAIA can be found here.